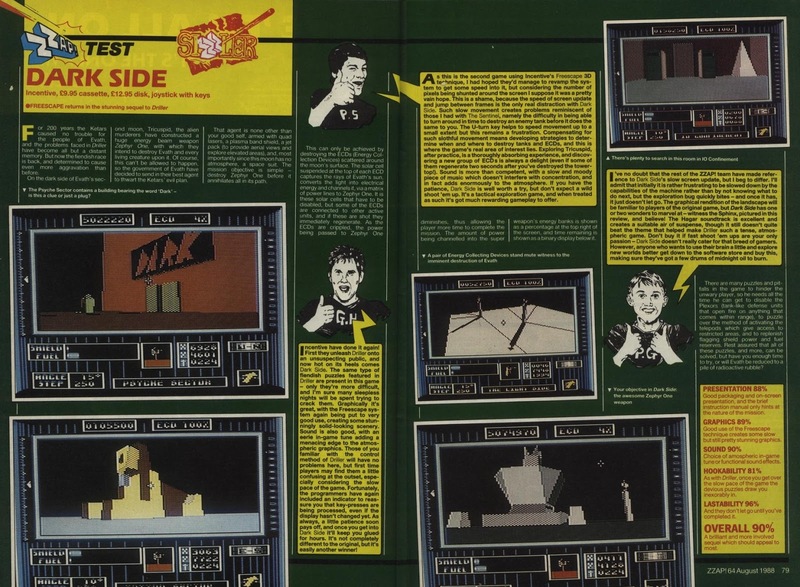 I've been having a look through a 30 year old Zzap 64 magazine from August 1988 and saw this review for the fantastic Dark Side on the Commodore 64. This game was my first introduction to the amazing Freescape 3D system by Incentive Software, and along with Mercenary by Novagen, was probably what got me so interested in modern day 3D/VR FPS games and defined what I would play some 10 years later. 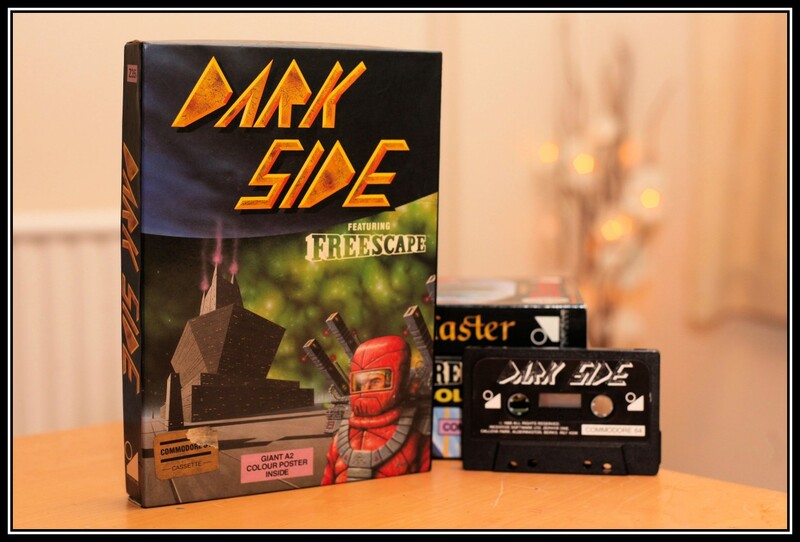 Of course Dark Side was a sequel to Driller, and preceded Total Eclipse, Total Eclipse II Sphinx Jinx, Castle Master, Castle Master II The Crypt and the amazing 3D Construction Kit - all of which I spent many hours of my childhood and young adult years playing.